Many little girls dream about becoming princesses and fairies, but Barbora Váchalová was already completely clear about her future when she was five years old. She wanted to become a harpist! It all started when she went to a harp concert where her aunt was playing. She fell in love with the instrument. After that, she kept firmly (= confidently) saying that she knew what her future job would be. Although most childhood plans don’t work out (= don’t succeed), her dream came true. Did you start playing the harp immediately after your aunt’s concert? It wasn’t that easy. I was small and had little hands, and back then it was impossible to get a small harp for children. So I started playing the piano and I waited until I had grown up a bit. When I was twelve, I could finally start playing the harp at a music school in Prague. Later, I continued my studies at the conservatory and at the Academy of Performing Arts (AMU). How much time did you spend practising when you were a student? I wasn’t as industrious (= hard-working) as some of my classmates because I had a lot of other hobbies. But I had to practise for at least four hours a day. I joined the National Theatre orchestra in 1989, the year of the revolution. I was still a student then, and playing at the theatre remains my main job. But I work with others, too, such as the Berg Orchestra and Martinů Quartet. 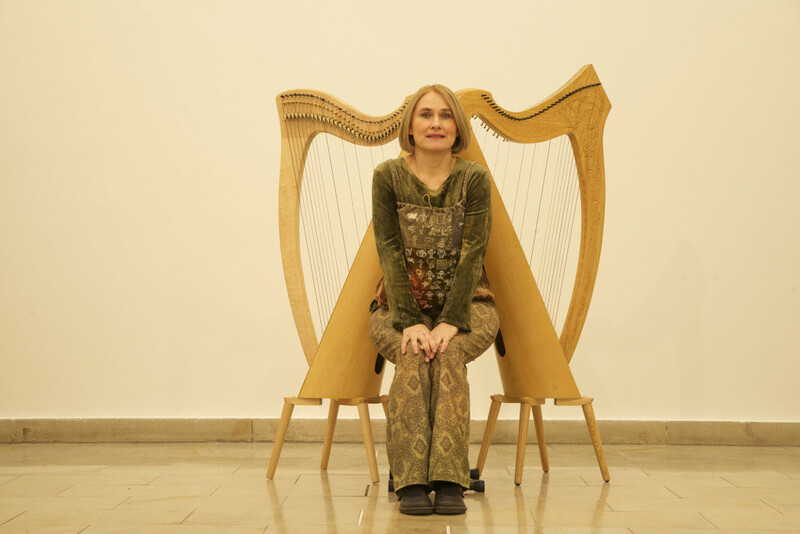 I started a harp duo called Arpadua five years ago with a colleague from the National Theatre, Ivana Pokorná, and we’ve recently released (= started to sell) a CD. I also record music for Czech Television and for films. Do you still enjoy your work after all these years? Yes, I do, although sometimes it’s very tiring. The work for the National Theatre is interesting, and I love some of the performances, like Janáček’s Její Pastorkyňa or Liška Bystrouška. However, it’s very demanding (= hard) to keep in top form. 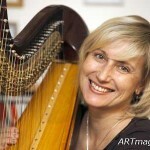 The harp is a solo instrument within the orchestra – there is only one harpist, or two at the most. What is difficult about the job? We often finish very late in the evening and we play at the weekends and on public holidays. Christmas and Easter are very busy. It’s sometimes hard to combine such a chaotic life with family life. The work is very irregular; the busiest times are before the premieres. First, you must study your part on your own, and then there are rehearsals (= practices) every day. But it’s beautiful to be a part of the whole creative process, the birth of something new. © 2019 ArpaDua. All Rights Reserved.